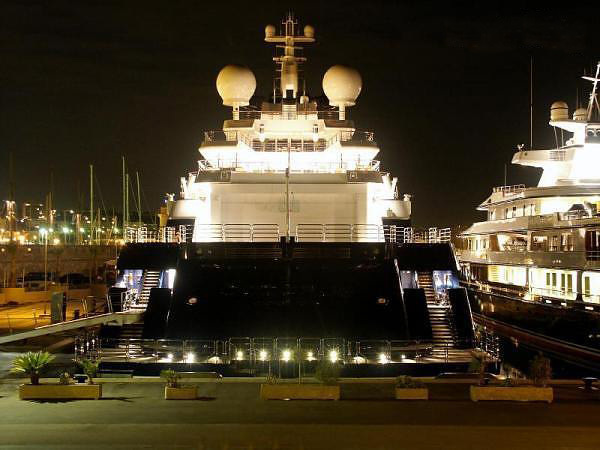 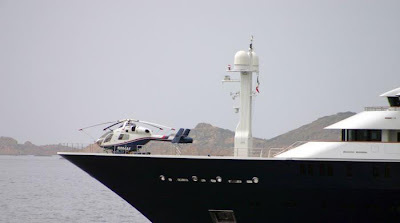 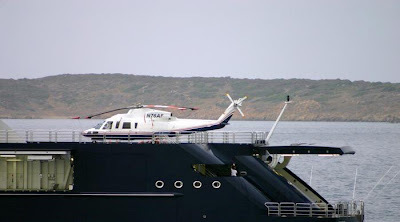 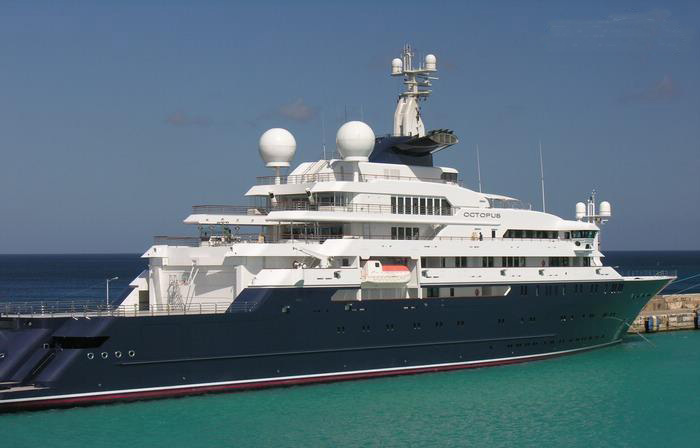 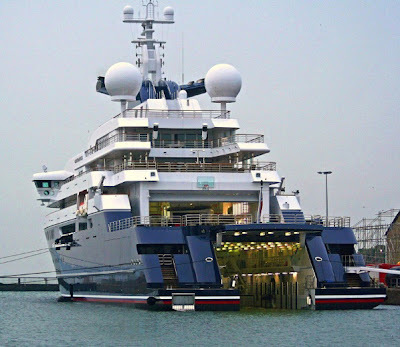 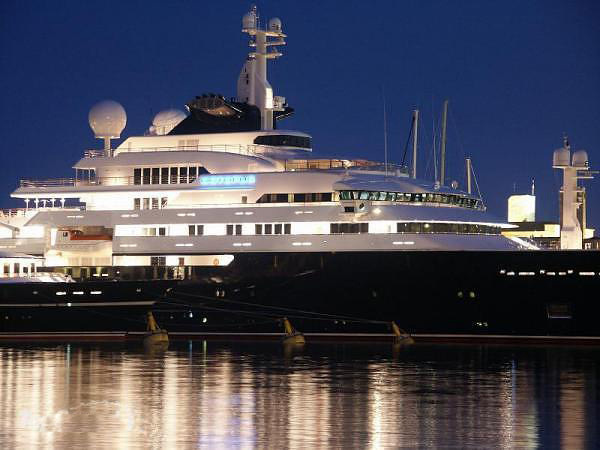 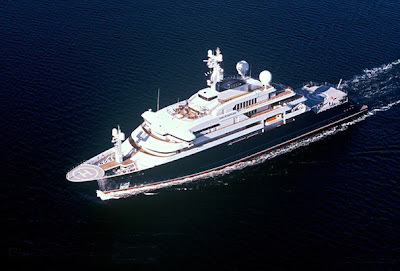 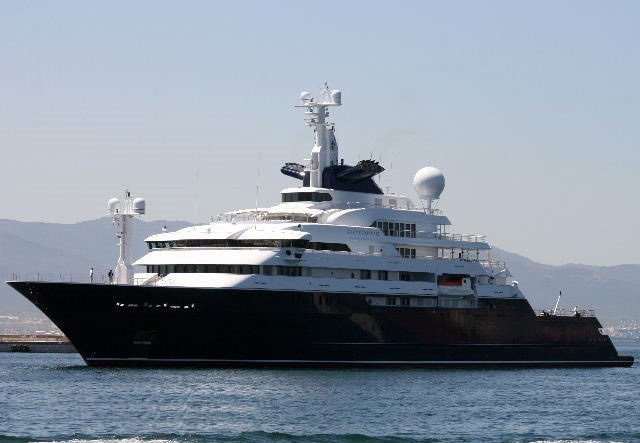 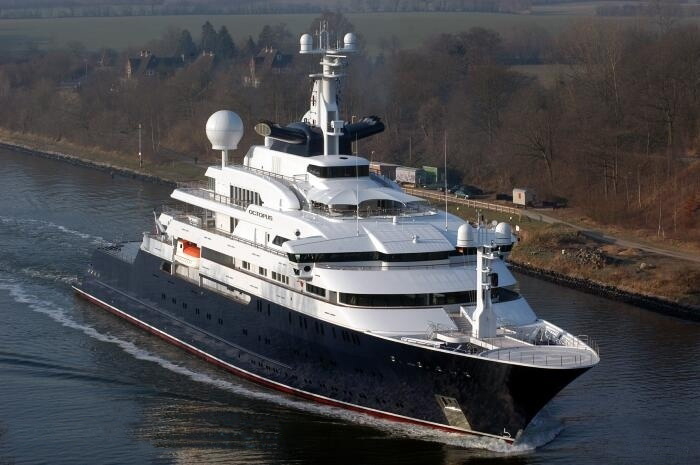 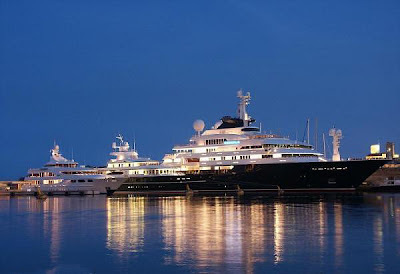 Octopus is a 126.20m (414.04ft) motor yacht, custom built in 2003. The yacht's interior has been designed by Jonathan Quinn Barnett. She was last refitted in 2008. Octopus has a steel hull and aluminium superstructure with a beam of 21m (68.90ft) and a 5.66m (18.57ft) draft. Octopus is built to comply to MCA and LR standards. 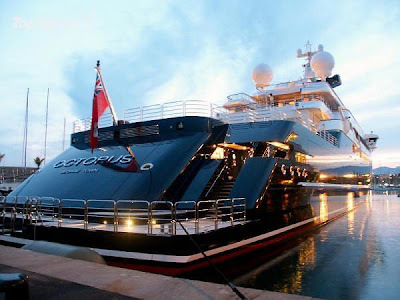 Octopus offers accommodation for up to 26 guests in 41 suites. She is also capable of carrying up to 57 crew onboard to ensure a relaxed luxury yacht experience.